Mari Ross-Alexander, M.A., LPC-MHSP, is a licensed professional counselor treating individuals (age 13 and up), couples and families. Originally from Las Vegas, NV, Mari completed her undergraduate work at Arizona State University in Tempe, AZ in 1997 and earned her Masters of Arts in Counseling from Argosy University in 2007. 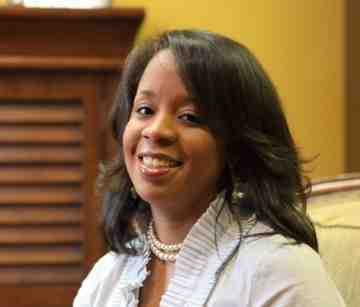 Currently, she is pursuing her Ph.D. in Clinical Counseling from Trevecca Nazarene University in Nashville, TN. Mari currently resides in Hendersonville, TN. "My practical view of the function of psychotherapy is as a journey of self-exploration by the client, meant to increase his/her level of self-understanding and self-awareness. I as the therapist act as the guide or facilitator of this journey. It is not my practice to act as the self-appointed expert on the client's life who effortlessly dispenses advice to the client on what he/she should be thinking, feeling, and doing. I do not readily provide answsers/solutions to client questions/problems regarding themselves and their lives. From my experience, clients are much more inclined to own and operate an answer/solution if it is of their own creation. On some level of consciousness based on his/her experience in life, I believe the client is in possession of the answers to his/hers questions. It is my desire to make those answers explicit. My goal to help clients identify, develop, and mobilize their own resources to successfully solve problems and meet challenges."